Having a regular pest inspection is a must for every inhabitant residing in pest-prone zone. There are people who encounter with innumerable pests every day and apply several home remedies to remove pests from their surrounding area. The use of local pesticides can never eliminate insect pests in a successful manner. If you think pests will get out by their own, then you are absolutely wrong. To exterminate insect pests on a permanent basis, you need to attain the commendable pest services from the reputable pest control provider. The pest inspections service comes in a cost-effective price to evade the nasty pests entering your living space. Let the efficient pest inspectors come for a round of visits to give you the expert pest treatment. The able pest professionals will search every corner, attic, yard and hidden space of your home and business location to weed out pests effectively. 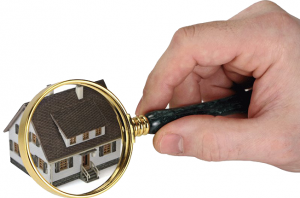 After the inspection is executed, the pest guys will hand over a survey of report to the homeowner and business owner which will further help them know the present condition of their properties. The timely pest inspection will help knock pests out of your vicinity. The pest treatments of the esteemed pest agency are specially designed to exterminate all types of insect pests. Depending on the frequency of your pest inspection, you can be successful in keeping pests away in a permanent way. Book a pest inspection service to lessen the density of pest invasion. The supreme pest services of the highly recommended pest control agency will make you believe that pest riddance is not so tough to overcome. Get a methodical pest inspection and other services from the certified pest technicians to clog the pest nuisance at once.